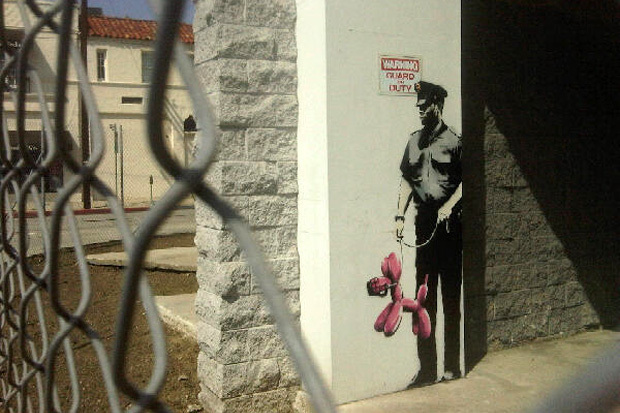 RUMOR MILL: Is UK Street Artist Banksy in LA? Los Angeles- Our friends over at Take Over LA spotted a new piece by legendary UK-based street artist Banksy over near 4th and La Brea. Banksy Piece Near 4th and La Brea in L.A.
Not sure if he’s there right now or not, but if you spot any more ups down there, please let us know! The Rumor Mill: Custom 1200′s for LA DnB pioneer DJ CRS? ! In my opinion this is HUGE for not only CRS? (aka George Ybarra) but for US DnB as a whole. CRS? is one of the OG LA Junglists that helped push the sound that would become a driving force in the LA scene, along with DJs APX1, Oscar Da Grouch, R.A.W., and more! Big ups to CRS?- we’re looking forward to seeing what they look like! The Rumor Mill: Custom 1200's for LA DnB pioneer DJ CRS? !